You may have missed it initially with all the hoopla surrounding the BCS Championship Game, but there was a relatively major NBA trade on Monday night between two Central Division rivals. 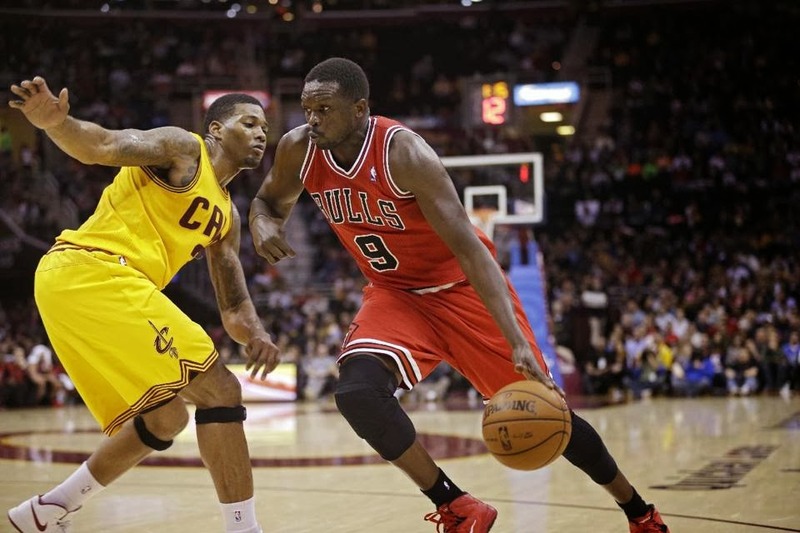 The Cavaliers dealt center Andrew Bynum and some draft picks (Sacramento's 2014 top-12 protected first round pick, Portland's 2015 and 2016 second round picks and the right to swap 2015 first rounders if Cleveland is not in the lottery) to the Bulls for forward Luol Deng. It was an interesting move for both clubs and I ultimately think that both sides will be relative winners. Here's why. For the Bulls, this move was a sign that the club is looking to dump the rest of the season, start a short rebuilding process in the wake of Derrick Rose's torn meniscus cost him the season, and create a much more favorable cap situation going forward. Deng was a free agent coming this summer and he was looking for a hearty extension and it just appeared that even as Deng is an excellent player and an All-Star, the team was probably not as willing to give him the money he wanted and wanted to go in a different direction with the team in the short-term. That's why they would deal him for a clown that was off the club faster than you could say 'Tim Floyd' in Bynum. Now after waiving Bynum before his non-guaranteed monies were guaranteed, the team will be out of the luxury tax this year and will be in even better financial shape when Carlos Boozer is either dealt or released. And with high picks in a loaded draft, the Bulls have the chance to reload quickly. Deng may be a difficult re-sign for Cleveland, but for a team that has been a real disappointment in a comical Eastern Conference, he is an excellent fit and should put this time right into the playoffs. He is a really good player that fills Cleveland's biggest need at small forward. The Cavs have found no solution thus far, with the highest profile bust being top pick Anthony Bennett, who has really struggled in his rookie year as he has often been asked to play out of position at the three. And the price tag is not huge as the draft picks are wisely protected in case the deal falls through, and they have real savings. Also, they got rid of the Bynum headache, and that is a big deal. All in all, not a huge deal, but a one that makes sense for both squads.